If the success of your business relies on fast and efficient import from China to India, TS Freight offers you both sea freight and air freight services that are guaranteed to cater to all your shipping requirements to India. Not only will we help transport your cargo efficiently, we also make the time to help guide you in choosing the best transportation methods by explaining to you the difference between transit times, shipping costs and damage liabilities between the many different services available to you. 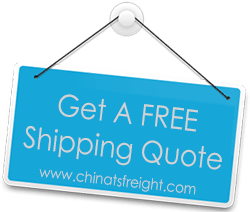 We offer nationwide network to all our clients, arranging for pickup and packaging and can ship your cargo from any of the major cities in China like Tianjin, Dalian, Guangzhou, Shenzhen, Shanghai, Ningbo, Xiamen, Hong Kong, Hangzhou etc. We will also help load your cargo, handle all documentation procedures, and unload the cargo in India, post which we will assure timely delivery to the actual point of destination. We ship to all the major cities in India including Kolkatta, Mumbai, Kochi, Chennai and more and will help you choose the fastest mode of transport as well as route based on your budget as well as cargo time sensitivity. Our cargo shipping to India services have been designed to cater to your specific needs, which is why we can ship all kinds of items and also offer transportation for specialized heavy duty items to India. Our team of knowledgeable experts will keep you informed throughout the process, and will help you with any queries you have so that you are well aware of when to expect the final delivery in India. If you have been on the lookout for a premium logistics provider whose dedication and reliability could become an asset to your supply chain business, then TS Freight is definitely the right choice for all your import from China to India needs.